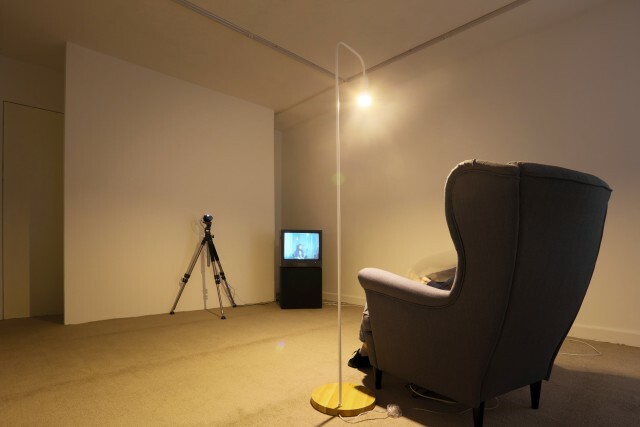 Feng Chen creates videos, sculptures and hypnotic installations that investigate the synchronization between visuals and audio, inserting a wedge between different signals and leading us to question which of our senses we should ultimately trust. In his work, perception and reality interact with each other in labyrinthine ways reclaiming that experience is the most essential and authentic part of existence and the ultimate nature of reality. His ongoing project The Darker Side of Light has been presented in multiple iterations, each time constructing automated systems that dissect our perception of body and space and new reflections on the relationship between man and machine. Feng Chen was born in 1986 in Wuhan, China. He graduated from the Department of New Media Art of the China Academy of Art in 2009, and in 2014 he joined a two-year program at the Rijksakademie in the Amsterdam (Netherlands). He currently works and lives in Hangzhou, China. His solo exhibitions Feng Chen Solo Show and Moment by Moment have been presented in 2017 and in 2019 at Capsule Shanghai (Shanghai, China). In 2018 he participated at Art Basel Hong Kong Discoveries with the solo project The Darker Side of Light – Color (Hong Kong, China). A new iteration of this work, titled The Darker Side of Light – Shadow, was exhibited in 2018 at the Annex Project Space of the Fosun Art Foundation (Shanghai, China). Recent group shows include The 6th Guangzhou Triennial - As We May Think: Feedforward (Guangzhou, China), City Unbounded – Shanghai Jing’an International Sculpture Project (Shanghai, China), and 8102 – On Reality at the OCAT Shanghai (Shanghai, China) in 2018. His work was presented in 2015 at the Rijksakademie van beeldende kunsten OPEN 2015, (Amsterdam, Netherlands), and Video Art | June Edition, at the Dr. Bhau Daji Lad Museum (Mumbai, India). Feng’s institutional collections include the White Rabbit Contemporary Art Collection in Australia, the China Art Museum and the Rijksakademie van beeldende kunsten. His work has been written about on Artforum, Randian, Art China and Flash Art.